Brittany beach holidays - more expensive after Brexit? The price of holidays may not be the most important consideration when it come to deciding how to vote in June's referendum on whether or not the UK should stay in the EU. But signs are that in the short term at least Brexit will push up travel costs. HSBC warned today that sterling could fall by 15-20% against the US $. Fears of withdrawal have already dragged the £ below the $1.40 mark for the first time in seven years. Against the euro, the value of sterling has slipped in recent weeks from over £1 = €1.40 to around €1.26 amid uncertainly over Britain's membership. That's a fall of roughly 10%. Recent research has shown the over-50s account for 54% of spending on travel by UK citizens, with nearly one in four spending upwards of £5000 a year. Add to the effects on currency those on mature travellers' savings, with uncertainty creating volatility in the markets and depressing the value of shares, plus the prospect, raised by HSBC, of sharply rising inflation and you might just feel going it alone isn't worth the risk. Long term there would be many issues to resolve: what would be the effect on Britain as a participant in the EU's reciprocal health agreement? Would we still be able to use the European Health Insurance Card. I assume that if we were, long negotiations would be necessary first. What about holiday payment protection? Protection for air holidaymakers is about to undergo a shake up based on a new Brussels directive, to be enacted as UK law. If we pulled out, would the UK have to create an entirely new consumer protection regime of its own or would we simply reflect what's going on across the Channel and the Irish Sea? And what about open skies agreements? The EU's agreement with the US, for example, allows its airlines to operate there from from any airport any country. Withdrawal would affect airline efficiency and could deprive UK travellers of some cheap deals. There might also be a need to negotiate bilateral air agreements with individual EU countries. What impact would this have on airlines from those countries that are already offering low fare flights from the UK - and not always to their country of origin. Remember, freedom of the EU skies allows EU base airlines huge flexibility to operate where they choose. Would UK travellers be denied the hard fought for and recently won fruits of such deregulated competition? These are just a few uncertainties in one sector of the commercial and consumer world - a sample of the myriad complications a vote to pull out would create. 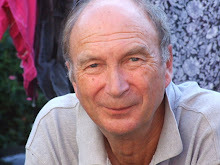 Travel Journalist Roger Bray posts news, reviews, photos, tips and comment for over-50s. Bray is one of the UK's longest serving travel writers. A former travel editor and aviation correspondent of the London Evening Standard, he has written for major newspapers including the Times, Financial Times, Guardian, and Mail on Sunday. He covered most big travel news stories - from the development of Concorde and the rise and fall of Laker Airways to the advent of low cost airlines and online booking. A keen skier and hiker, he's the author (with the late Vladimir Raitz) of Flight to the Sun, a definitive account of the post war travel boom. He is a past chair of the British Guild of Travel Writers and sits on a committee which advises on financial protection for air travellers.